VeraLite gives you easy control over lights, cameras, thermostats, door locks alarm systems and more. Plus you easily can add intelligence to almost anything electronic in your home, and VeraLite can control them too. 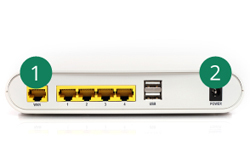 All the smart home benefits you`ve been looking for are right here in this easy, inexpensive add-on to your home network. 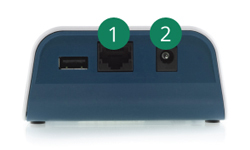 Use the supplied network (Ethernet) cable to connect to the Ethernet port of your VeraLite; then connect the other end of the cable to an available Ethernet port on your modem, internet gateway, router, or switch. Connect the VeraLite power adapter into its power receptacle, and then into an AC electrical outlet. 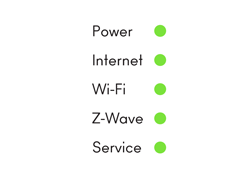 Once all 3 lights are lit up as shown, and not blinking, click "Continue" to begin setting up your unit. 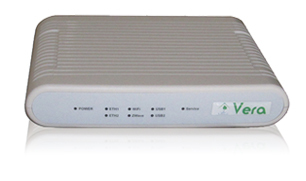 VeraLite G gives you easy control over lights, cameras, thermostats, door locks, alarm systems and more. 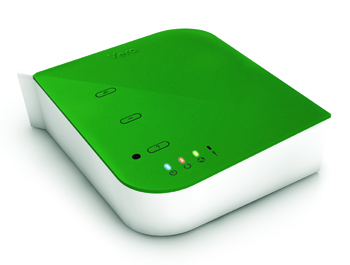 Plus you easily can add intelligence to almost anything electronic in your home, and VeraLite G can control them too. 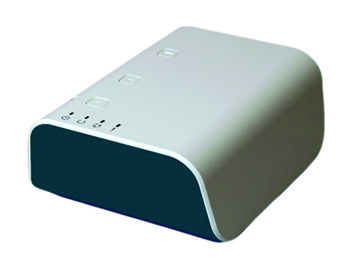 All the smart home benefits you`ve been looking for are right here in this easy, inexpensive add-on to your home network. 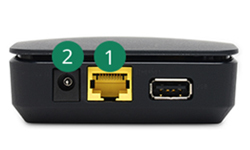 Use the supplied network (Ethernet) cable to connect to the Ethernet port of your VeraLite G; then connect the other end of the cable to an available Ethernet port on your modem, internet gateway, router, or switch. Connect the VeraLite G power adapter into its power receptacle, and then into an AC electrical outlet. This system is no longer supported. 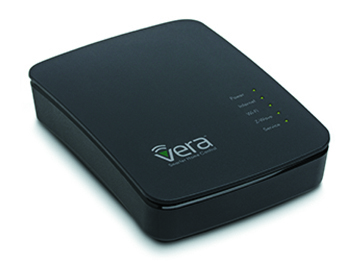 Vera3 is a smart controller you will never outgrow. It has the power and flexibility to run as many smart tasks and scenes as you can think of, and thanks to its extended range, you easily control things outside your house too, like patio lights, sprinkler systems, outdoor music systems, pool & spa controls... whatever you decide you want to make ‘smart’. 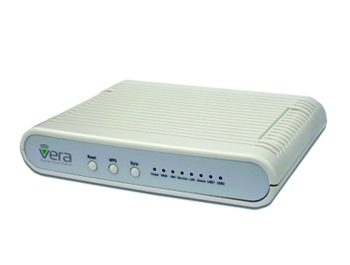 Use the supplied network (Ethernet) cable to connect to the Ethernet port of your Vera 3; then connect the other end of the cable to an available Ethernet port on your modem, internet gateway, router, or switch. 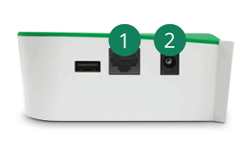 Connect the Vera 3 power adapter into its power receptacle, and then into an AC electrical outlet. Easy yet powerful one-app control for cameras, door locks, sensors, thermostats and other home automation and security devices (sold separately) you can view and control from anywhere! 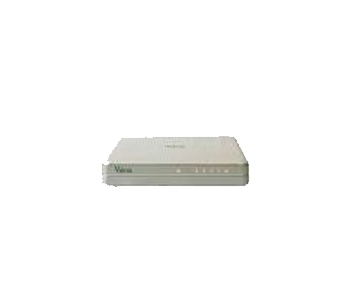 Use the supplied network (Ethernet) cable to connect to the Ethernet port of your VeraEdge; then connect the other end of the cable to an available Ethernet port on your modem, internet gateway, router, or switch. Connect the VeraEdge power adapter into its power receptacle, and then into an AC electrical outlet. Once all 5 lights are lit up as shown, and not blinking, click "Continue" to begin setting up your controller. Copyright © 2008-2019 Vera Control, Ltd. All rights reserved.